When you start to think of finding a new job it can be really daunting and you might just want to run away screaming. 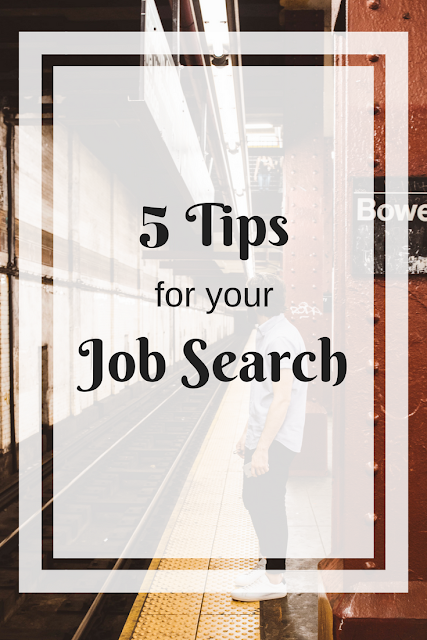 Now that there are tons of websites to find postings, telling you how to draft a resume and giving you all sorts of advice that will make your head spin. Before landing my current position a couple of years ago I was searching for a full time job for over five years. Five years!! That makes my head spin just thinking of it. With all that searching and applying I actually learned some great tricks which I think might come in handy. After talking with a friend last week about her search she thought should share those tips. You're probably thinking that this is a super weird tip but honestly this is my main way of searching for job posting. If you're not searching in a specific type of company (i.e. museum, non-profit, etc.) this might not help but you never know. When I started my search I realized that there were institutions in the Chicago area that I didn't know about but when I searched "museums" on Google Maps and started looking at the websites of these smaller and more unique institutions I expanded my search by so much. With Chicago being a big city there are hundreds if not thousands of non-profits so one time I sat there and searched "non-profits" to see which ones came up. Again there were so many that I just wasn't aware of. I also did this for Kevin when he was searching. It's amazing if you're looking in certain geographic areas how many unknown places you can add to your list. Don't make more work for yourself if you don't have to, work smarter not harder! When you find a place you want to keep checking for job openings don't make yourself have to look it up every time. Bookmark it! Don't just bookmark their main website, bookmark the job page. Also don't just plunk them all into your main bookmarks folder. If you're looking in multiple disciplines or types of places sort them out. Maybe you're in finance and looking at for profit and non-profit type companies. Sort them! Even go a step further and sort a little more if you can. This breaks it down so when you go back and look at the pages each week it's not so unwieldy. Maybe you only want to check out one sector this week you only have to open up those bookmarks. So many job search sites, like Simply Hired, Indeed, etc. allow you to automate and get notifications. Take advantage of this! There is no reason to make extra search work for yourself when the computer can do it for you. Set up notifications for any keywords you can think of. For me it's words like "museum", 'archives", library", etc. Take some time to think about those words and make yourself a list then sign up for those notifications. I know for my type of work those websites don't pick up job posts from all websites but it might actually pick up openings from places you wouldn't think of. I've encountered many an unexpected opening this way. This is something that is important across any field. Building your network is extremely important. Not only for finding a job but it can also come in handy in many other future job types of situations. One recent example for me is I had met someone last year who specialized in museum compact storage systems and I was just chatting with a curator friend at another museum who said they were starting to fund raise for a new storage system. You never know when that person you met last month might think of you for their new job opening! Did you know that there are some corporations, like McDonalds, that have archives or even their own museum? If I didn't keep an open mind and try to find jobs I'd be qualified for in other places I might miss out on some great job openings. This can apply for any job field. Maybe there is a field you've never thought to look at before that might hold the perfect new job for you. This is a good place for those automated searches to come in handy as well. By setting those keywords you'll hopefully get some positions sent to your inbox that you'd never consider. Are you in the middle of a job search? What trick do you have when searching?